Family Adventure Giveaway : Enchanting Iceland Land and Sea Vacation! Going on family adventures is a great way to bond as a family and create new memories. Our family sure has enjoyed travelling Europe together after we had our first daughter and then touring in Dusty our VW van after having our second daughter. I want YOU to have the opportunity to adventure with your family and so I am going to tell you how you can win a family adventure getaway of a lifetime. A chance to win an Enchanting Iceland Land and Sea Vacation. The Outdoor Family Magazine is hosting this awesome giveaway that ends February 1st 2016. The Outdoor Family Magazine and Community is a magazine inspiring families to connect and participate in the outdoors. The magazine is full of inspiration and tips to help you get outdoors and adventure with your family. To say thank you to their readers they are hosting an amazing family adventure giveaway and I wanted to make sure that YOU did not miss out on this giveaway! Enter here for a chance to win an Enchanting Iceland Land and Sea Vacation. 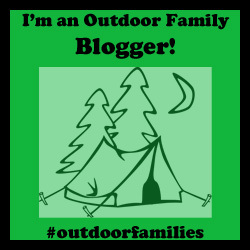 For more information head on over to the Outdoor Families Magazine announcement page. After you have a chance to enter make sure to check out their other articles and feel inspired to get out and adventure with your family! *Enchanting Iceland Land and Sea Vacation giveaway rules and regulations can be found here. Hiking with a Toddler and a Newborn! Cross Country Ski Tips for Toddlers : Getting Up!